The National Three Peaks Challenge involves climbing the three highest peaks in England, Wales and Scotland, within 24 hours. Statistically only 90% of people complete all 3 peaks and only 40% manage to finish in less than 24 hours. 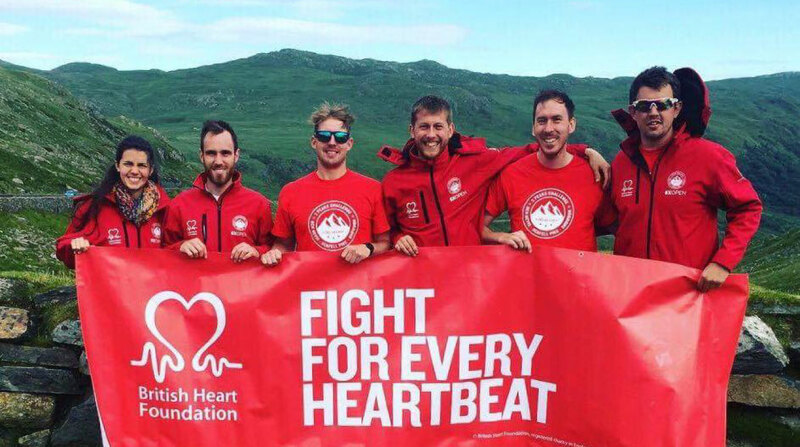 On the 1st of July, the SIX TIMES OPEN team assembled in Newcastle and set out to Fort William to the foot of Ben Nevis where the three peaks challenge would start, all to raise awareness and funds for the lifesaving work of the British Heart Foundation. The journey was full of songs and a carb overload worthy of Jabba the hut in preparation for Ben Nevis, the largest of the 3 mountains. The 7 man team, made up of 4 athletes, 2 drivers and a team doctor from across the UK was in good spirits and good timing was made to reach the foot of Ben Nevis through the stunning scenery of the Scottish highlands. Team members included, Matthew Edwards, David Stretton-Downes, James Bartram, Tom Ward, Jonathan Stretton-Downes, Lydia Stone and Phil Grey. We arrived at approximately 5.15pm and after a stretch and change of clothes the team were ready and after the customary pictures were taken at the foot of Ben Nevis, they began the ascent at 5.45pm. 4 hours later they were back after a quick pace set by team leader Matthew Edwards, giving the team an excellent head start. We left Ben Nevis at 10.15pm, and with a carbohydrate trail in our wake we set off to Cumbria for Scarfell Pike. Nutrition and energy from BeetIT sport and EMBR energy was essential to the success of this first accent with harsh weather at the summit. We made good time during the night and arrived at Scafell Pike at 4.30am on Sunday morning. 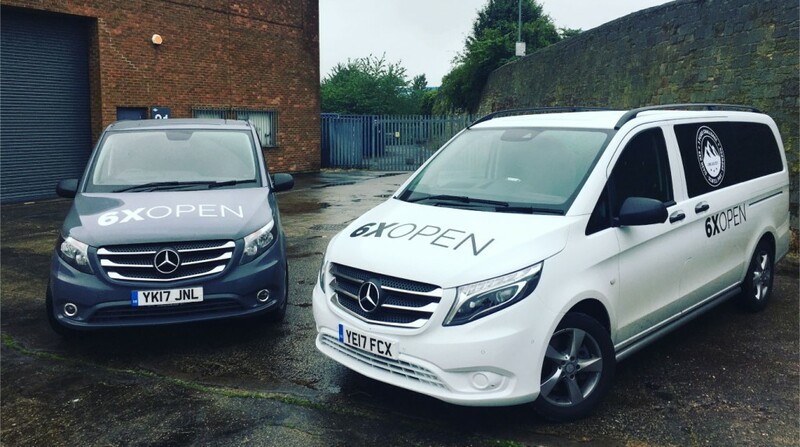 The stale smell of cold sweat and vinegar wafting out of the vans at the doors slid open. After a hurried breakfast of pitta bread, beans and Mornflake GoPots porridge, the team were ready once more and at 5.00am they begun accent of Scafell Pike. A team of 3, 2 drivers and 1 doctor stayed behind, took stock and rest in the van having driven most of the night. 3 hours later the team was awoke by tapping on the windows of the vans, 8.00am, they were back. There was something wrong however, there were only three of them. Matt had injured his leg on the decent and given the time constraints told the others to go on without him. And so, the 3 remaining, changed, packed up and left the camp for north Wales and the final mountain, Snowdon. During the wait, we climbed up to meet Matt and walked the last stretch with him. Once back at the van we left the camp also and headed off on the long drive to Snowdon, 9.00am. Wales was bright and sunny, the scenery engulfing us as we wound our way through the mountains to the foot of Mt Snowdon. We arrived at 3.30pm to find the van abandoned and empty, they were somewhere up there. Time rolled by and minutes felt like hours as we waited, gazing up in hope to see figures in red in decent. Finally. Out of the distance came three in red, steadily snaking their way towards us. A quick glance at the time told us that they had only 25 minutes to cross the line, they would make it, but by how much? Shoulder to shoulder they crossed the line at 5.30pm, their time 23 hours and 45 minutes. Challenge complete. The team had completed the challenge with 15 minutes to spare. We want to thank Mercedes for their support of the campaign and especially this challenge in sponsoring our transport for the event, Mornflake for supplying our start food, EMBR in supplying our energy during the 24 hour stunt, Rapid9 for supplying livery to all our vans, and last but most certainly not least, Custom Planet for sponsoring our challenge kit. Thank you! Until the next challenge! The event fundraising is still being calculated and will be shared on social media when finalized. Official images of the event to follow.